I spent the weekend wiring together a couple of infrared remote controls to build a system that will trigger the shutters of 2 cameras simultaneously (part of my ongoing adventures in 3D photography). I plan to post more about this project soon. Of course the light from the remotes is infrared, so it can’t be seen with the naked eye. And it looks like it would probably take a display at least twice as big to get a really coherent picture. Still, an ingenious achievement. Read more about the piece, titled INFRA, at Create Digital Motion. The nation that brought us the BBC Radiophonic Workshop has now engineered another advance in electronic sound processing. It seems forensic experts on London’s police force have been recording the ever-fluctuating hum of the national power grid for the past seven years. That’s right: the UK now has nationwide audio timecode. I wanted to change the sound of going through the turnstile to a series of notes – I could do a little program. I could be like, well, the dominant note is the root, this is the fifth, this is the third, have a couple of sevenths, throw a few sixths in there just to be crazy. And during rush hour it would make arpeggiated music. And each subway station could have its own key or tonal set. 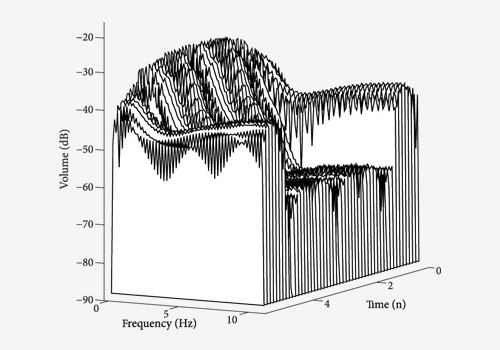 Designer Matthew Plummer-Fernandez created a sound whose waveform, plotted over time, looked like a chair. Then he had it made into an actual chair. This is a video I shot last Friday at Studio-X New York, where I was attending a presentation about digital holographic printing. The print shown here was generated from point-cloud data, captured by LIDAR from several different locations around the area depicted. About a terabyte — over 1 trillion bytes — of data went into creating that image. The architectural applications are obvious. The artistic possibilities are intriguing. But Michael Klug, of Zebra Imaging, the company that creates these prints, explained that the military is also extremely interested. Holo-prints like these, viewable in 3D without glasses, can be used to show soldiers a detailed depiction of a location before they go there. DARPA has already poured $25 million into Zebra’s research. There’s more about Klug’s presentation at BLDGBLOG. 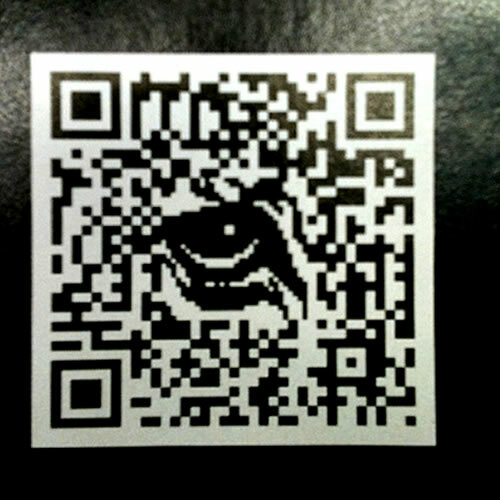 Until I saw this image, I didn’t realize that it is in fact possible to embed images in working QR codes. Here’s how to do it.